Would it be fair to say that the art of stamp engraving is most obvious in portrait stamps? Not being an expert at all, it seems to me that to portray a human being in engraved lines must be about the hardest thing to do. Harder than engraving views or architecture or the like. Is it because one has to breathe life into the subject? Is it why so many engravers specialise in portraits, because it's the ultimate challenge? Whatever it is, I personally rate recess portraiture the best, and when countries issue definitive portrait series printed in intaglio, they get top scores from me. Point in case: the United States of America. In 1980 they embarked on a long-running set called ‘Great Americans’. Unique because it was really the first portrait definitive set which did not focus largely on former presidents, but people from all walks of life. Quite a large team of engravers was involved, and although this meant different styles, the stamps do work together as a set. Actually, it’s good to see how different engravers tackle the problem of engraving a face. Some, like Kenneth Kipperman for example, use quite stark lines to portray their man or woman. 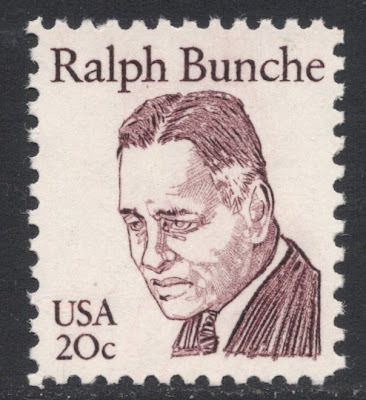 The 20c portraying the UN Secretariat member Ralph Bunche is a good example of that. It’s a hard, angular portrait, but Kipperman shows he can also do a softer engraving. The portrait of scientist Rachel Carson is much softer, even though you can still see the many hard lines. Joseph Creamer Jr’s style is unusual, I think, in that he gives his portraits a very sharply engraved outline. 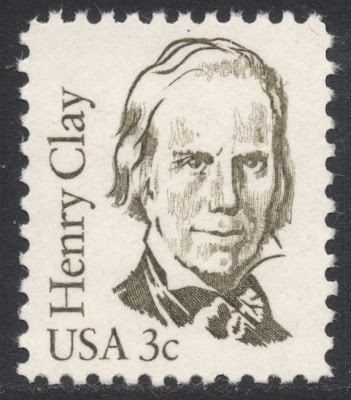 Note the strong hair lines on the stamp of the politician Henry Clay. 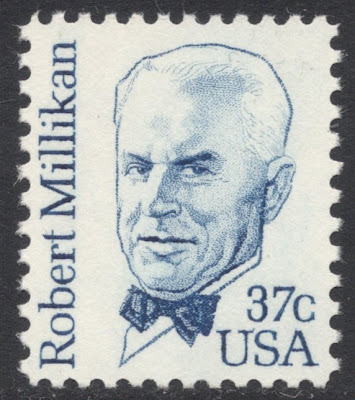 Even more remarkable is the portrait of the physicist Robert Millikan, which has a sharp line around his whole face. It seems rather odd at first but when you concentrate on the face itself, as you are almost invited to do because of the demarcation line, you see a beautiful, lifelike portrait. Finally, Thomas Hipschen places some of his portraits against a background. 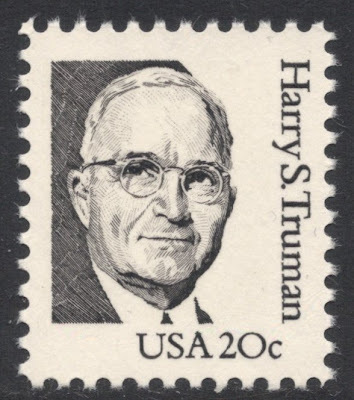 President Harry S. Truman is portrayed with a background at his back only. To be honest, I’m not sure if I’m very fond of that. It looks like the portrait is half cut out of a piece of paper. 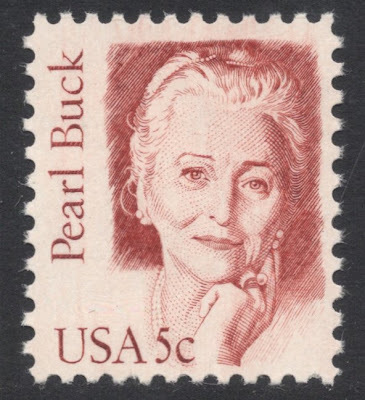 I think I prefer his engraving of the author Pearl Buck, who has a background around the whole of the portrait. 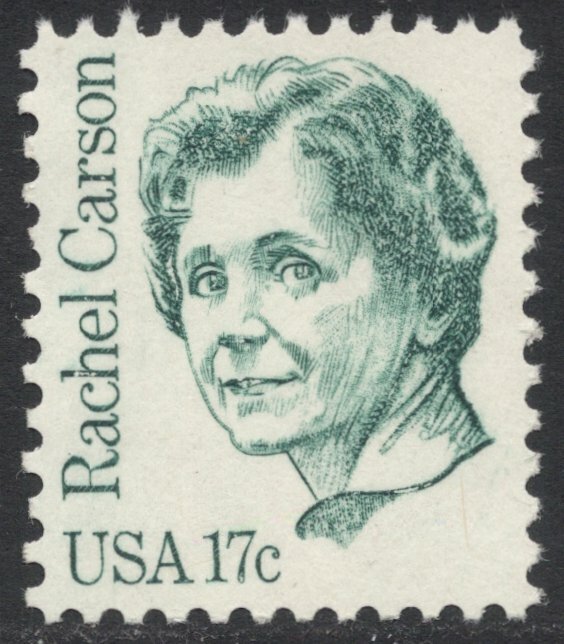 What I also like better on this stamp is that the background has soft, fading edges. That is a beautiful engraving, I think, and actually one of the highlights of the first set in this series. I so agree with your comments about the engraved portraits! 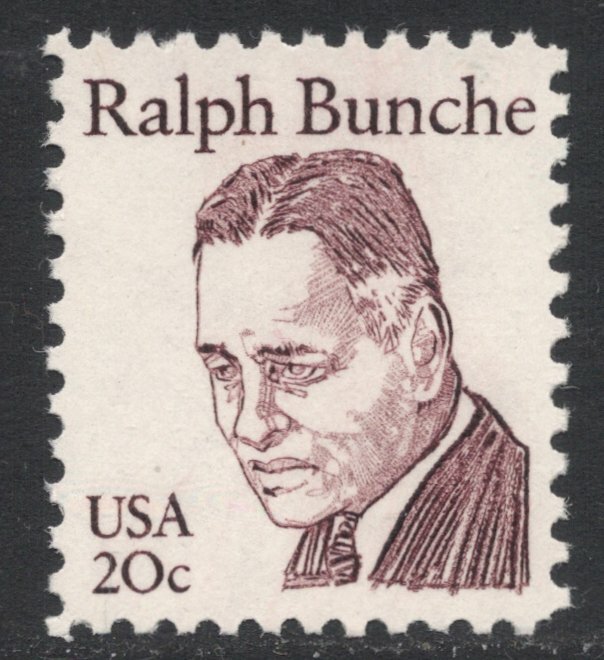 US stamps have so many wonderful designs and I recently featured on on my own blog. 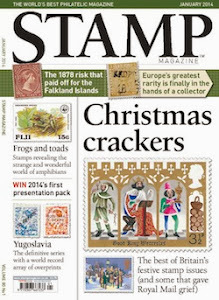 www.rachelmarkwick.co.uk - Please take a look and you will see why I am so passionate about stamps!